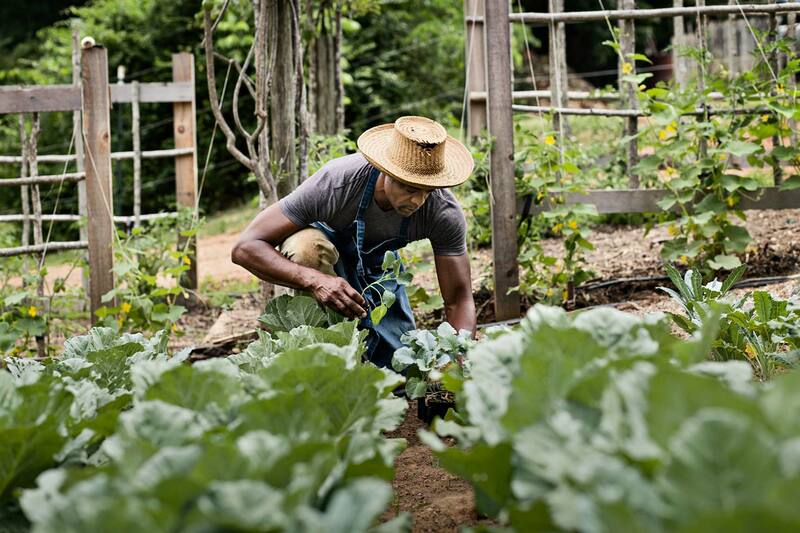 Lifestyle portrait photograph of African American man planting greens in his country organic garden, wearing a straw hat. Photographed in the Chattahoochee Hills, just south of Atlanta, by Atlanta based editorial and lifestyle photographer Nick Burchell. Featured in Garden and Gun magazine.